This October is “Odd-tober” on PBS KIDS, with an all-new ODD SQUAD one-hour special and the return of Halloween-themed family favorites from various series. 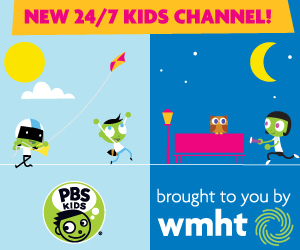 Related games, clips and full episodes will also be available on PBS KIDS digital platforms throughout the month. On Monday, October 5, PBS KIDS will premiere “ODD SQUAD: Against the Odds,” an all-new one-hour special from PBS KIDS’ newest hit series. “Against the Odds” will include five 11-minute stories with Olive, Otto and the rest of the gang as they solve the community’s strange problems (descriptions follow). The special will repeat throughout the week of October 5 and will be available free on pbskids.org and the PBS KIDS Video App. ODD SQUAD, a live-action series from The Fred Rogers Company that premiered on PBS KIDS last year, is designed to help kids ages 5-8 build math, problem-solving and collaboration skills. “Odd-tober” will continue on PBS KIDS throughout the week of October 25-31 with the return of family Halloween favorites, including the hit one-hour special “CURIOUS GEORGE: A Halloween Boo Fest.” Favorite episodes from PBS KIDS series such as DANIEL TIGER’S NEIGHBORHOOD, WILD KRATTS, PEG + CAT and DINOSAUR TRAIN will also air throughout the week (a full listing of episodes follows). Families will be able to play Halloween games and stream the Halloween-themed episodes free on pbskids.org and the PBS KIDS Video App. “Undercover Olive” (Parts 1 and 2): In this half-hour episode, Olive goes undercover in a high-stakes “Rock, Paper, Scissors” game. “The Curious Case of Pirate-itis”: Otto and Oscar try to stop Olive from turning into a pirate. “Not So Splash”: Olive and Otto must figure out why parts of the town are turning snowy and cold — in the middle of summer. “By the Book”: Olive and Otto interrogate two suspects to figure out which one is innocent and which one is guilty.